Our main Christmas gifts to our kids this year were tickets to see Broadway in Bozeman’s musical production of “The Wizard of Oz,” which happened this past Monday at MSU’s Fieldhouse. Our girls love the story and music from the classic movie and were incredibly excited to see the live show—and they weren’t disappointed, as it was a fantastic performance and a great night as a family. 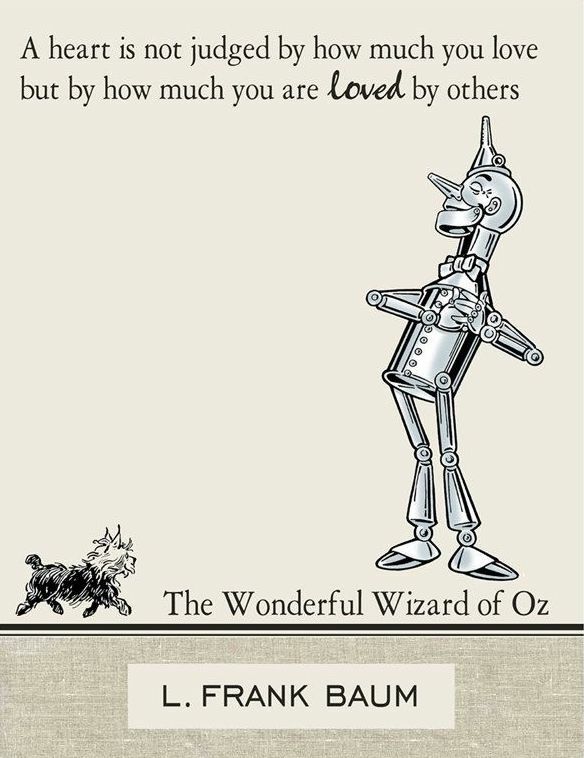 It’s a nice, sentimental comment from the Wizard, reminding the Tin Man that he is surrounded by people who love him—but I disagree with the idea completely…and I think Jesus does too. Throughout the gospels, Jesus is clear that the goal of life is not to be loved, but to love. You can’t get much clearer than Jesus summing up the law with two love-based commandments: to love God and love others. We can live upright, godly lives and still be despised and rejected. Heck, Jesus was. We’re never guaranteed love, regardless of how we live and treat others. In Matthew 10, Jesus tells his followers, “You will be hated by everyone because of me.” Yet their hearts won’t be judged by that hatred, but by how they respond in love. When we are hated, Jesus’ call is to “love your enemy and pray for those who persecute you.” There is nothing wrong with being loved, but that should never be the goal of the Christian life. The goal is, plain and simple, to love. 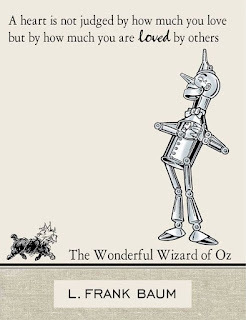 So, you’ll have to forgive me for disagreeing with the great and powerful Oz, but I think it’s an important point of disagreement. And the timing of these thoughts couldn’t be more perfect. In this week of Valentine’s Day—a day of obsession over being loved—the gospels encourage us, instead, to show love.